There’s a lot of information to sort through about Pokemon Sun and Moon’s new demo in YouTuber Kaphotics. Over three videos, we see in-depth stat breakdowns of new Pokemon, tons of sprites, and even shiny versions of a bunch of monsters — but a few things stood out in particular. Some of these details could be considered spoilers, so proceed with caution! Do you still remember those sketches that came out a while ago with potential final evolutions for Rowlet, Litten, and Popplio? A lot of people thought they were real because of one particular character included in one of the images — when they first leaked, that character, Mallow, hadn’t been announced, but she was revealed in an official trailer in August. Based on the datamining, it looks like those sketches may be the actual concept art for the starters’ final evolutions. The demo itself includes a special Greninja with the Ability Battle Bond, which allows it to transform into Ash-Greninja during battle. The datamine shows that Ash-Greninja has better base stats than its regular form. 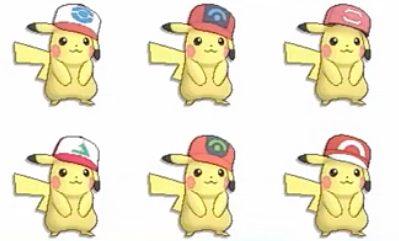 Kaphotics’ second video also indicates that there’s an Ash-Pikachu (complete with sprites of Pikachu with Ash’s various hats), which might mean there’s a buffed-up Pikachu in our futures. We know of quite a few Pokemon that have Alolan forms, including Raichu, Exeggutor, Meowth, and most recently Grimer and Muk, but the datamine reveals what might be a few more. 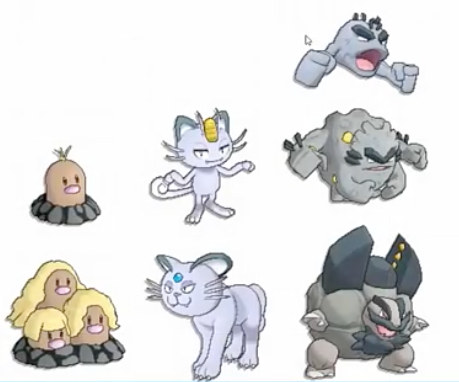 It shows Diglett and a very blond Dugtrio, Meowth’s evolution Persian (with a rounder face), and the Geodude line looking sort of like volcanic rock. That means that all the Alolan forms we’ve seen, confirmed or not, are of first-generation Pokemon — and that’s probably an intentional choice. Regardless of what you think of these forms, it’s definitely cool to see a reimagining of the first generation 20 years later. 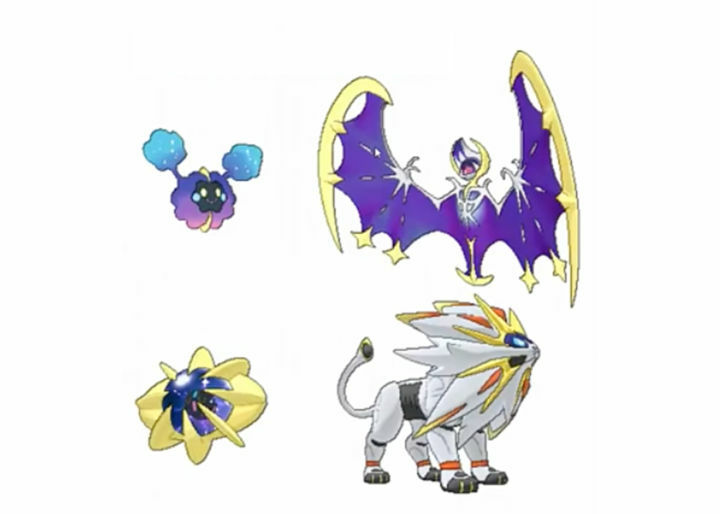 Kaphotics’ second video places confirmed Sun and Moon legendaries Solgaleo and Lunala next to two apparent pre-evolutions or offspring. It wouldn’t be the first time a legendary (technically mythical, in this case) Pokemon had offspring — breeding Manaphy with Ditto results in Phione, though Phione does not evolve into Manaphy — so it’s very possible these datamined sprites have some sort of relation to Solgaleo and Lunala. We knew about the mysterious Ultra Beasts, but it’s interesting that we get eight total from the datamining. Eight is a key number in Pokemon — there are eight Gyms and eight badges in the previous games. Pokemon Sun and Moon have the “Island Challenge” instead of a traditional Gym setup, but since the Ultra Beasts seem to play a significant part in the story, there might be more than meets the eye in Alola. There isn’t enough information in Kaphotics’ videos for this to be a cool detail on its own, but… We’d heard of Marshadow in name alone, so this is the first time we’ve seen what it might look like. It’s still unclear if it’s a third legendary or something else, but it’s cute! What did you think of the Sun and Moon demo and all its hidden details? Let us know in the comments below, and be sure to check out our Pokemon Sun and Moon wiki for the latest updates on new Pokemon and more. News, Game Review, Game Tips the Pokemon Sun, Moon Demo Datamine. permalink. 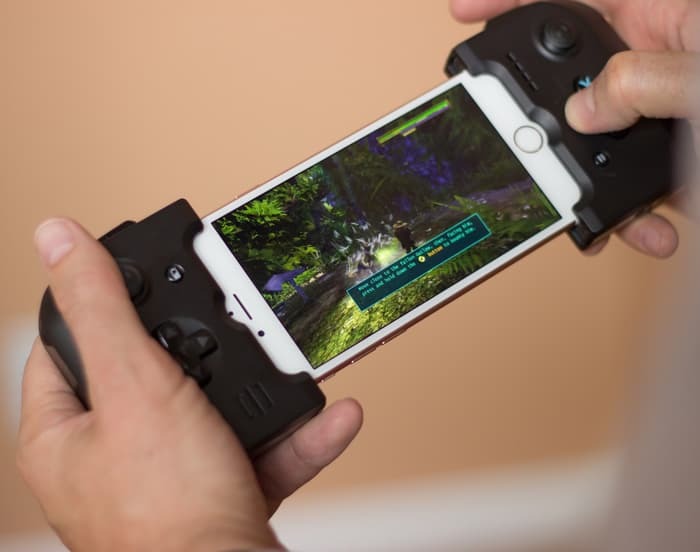 Titanfall 2 Multiplayer Preview: Bigger… and Better?